Americans don’t like thinking about nuclear weapons. This is a big problem, nuclear experts believe, because when a crisis occurs — such as Hawaii’s recent missile false alarm — fear without preparedness breeds panic. The time has come for a meaningful shift in public understanding of nuclear risk, before disaster strikes. “Most people in the U.S., most of the time, don’t think or talk about nuclear weapons,” says Alex Wellerstein, assistant professor of science and technology studies at Stevens Institute of Technology in New Jersey. “Except when there’s a period of crisis, and then people become extremely anxious. Then they want to talk about them a lot.” Wellerstein, a historian of science, is a principal investigator for Reinventing Civil Defense, a Carnegie-supported project at Stevens Institute that aims to restore a broad cultural understanding of nuclear risk. Kristyn Karl, also a principal investigator on the project, is an assistant professor of political science at Stevens with a background in political psychology. Both have given the issue much thought. But nuclear danger is still very much part of the world: approximately 15,000 nuclear weapons and 1,800 metric tons of weapons-grade nuclear material still exist. Any type of nuclear event, intentional or otherwise, would dramatically change the world. Without daily awareness of this risk, an entire generation of Americans has lost track of the fact that we all still live in a world of nuclear threat. “The nature of nuclear risk has changed,” says Carl Robichaud, program officer with Carnegie Corporation’s International Peace and Security program. “Most people think the risk is gone, or they might think only about North Korea. But the new dimension is nuclear terrorism. It wasn’t part of the Cold War, but it’s a real threat now, if a remote one." The prevailing mentality among the general population today is characterized by an array of misconceptions. A common sentiment tends to be: “Why worry? When they drop the big one, it’s the end of the world.” But this attitude and accompanying existential dread stem from Cold War thinking more than present-day reality. At the other extreme, young people tend to believe that the world’s nuclear weapons have been eliminated, so they’ve got nothing to worry about. Regardless of one’s stance, what the public needs to know, and the reason the Stevens Institute program exists, is that while there are serious nuclear risks, there are also effective survival strategies. “As awful as the experience was for people who received the false alert, the incident was a useful natural experiment. We learned how unprepared we are,” Robichaud says. 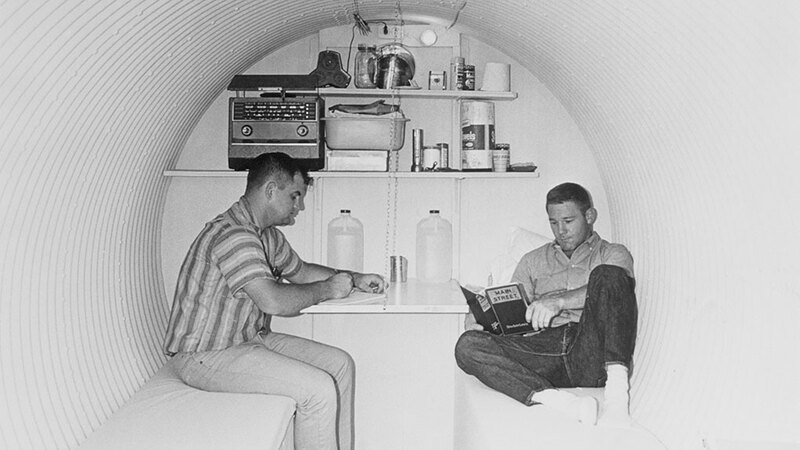 “Hundreds of thousands of people were panicked and didn’t know what to believe or what to do.” In contrast, during the Cold War, Federal Civil Defense Administration drills (“duck and cover”) trained the public in effective nuclear response tactics — though we later learned how ineffective those measures would actually have been. “The fact is that you can take measures in the face of an attack to make survival much more likely,” he says. Many of the steps recommended in other emergency situations offer good guidance, Robichaud stresses. Instead of trying to escape, go inside and stay there until more information is available about the incident, including the direction in which the radiation is moving — whether it's a nuclear detonation or a nuclear accident. One thing is clear: new communication strategies are essential for young digital natives. Impactful media messaging that makes the nuclear risk personal is a primary focus of the Stevens program. Comic books, podcasts, and plays, as well as multiplatform media products such as apps, video games, graphic novels, and virtual reality, are all being tested. And researchers remain mindful that millennials typically find civic engagement — volunteerism, activism, and civic use of social media — more relevant than traditional political activity. Nuclear anxiety, for better or worse, is back again. But with the right strategy, it might produce some much-needed political action — and perhaps less panic. “Conveying accurate information would do more than improve emergency response. The Stevens program also aims to affect policy — to use nuclear preparation to change the conversation. When no one outside of expert and activist circles is listening, there’s little practical action or public support for policy efforts. In the long run, this creates a lower likelihood of motivating the next generation of talented arms-control practitioners. But with the nation’s recent change in administration and resulting tough talk regarding nukes, the need for effective, nonpartisan communication about nuclear risk has never been greater. The program leaders view this as an opportunity: nuclear anxiety, for better or worse, is back again. But with the right strategy, it might produce some much-needed political action — and perhaps less panic.